← James Davison Hunter: To Change the World. The Irony, Tragedy, and Promise of Christianity in the Late Modern World. 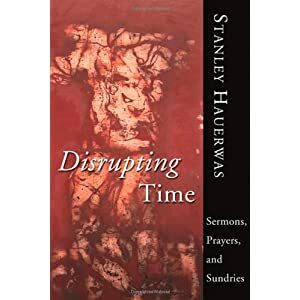 Stanley Hauerwas: Disrupting Time. Sermons, Prayers, and Sundries. This book, as the subtitle suggests, contains more of Hauerwas’s non-academic writings, it consists mainly of sermons and more of the kind of prayers that made up Prayers Plainly Spoken. Of the sermons I find those held at weddings and ordinations the most interesting, since they treat marriage and the ministry, respectively. 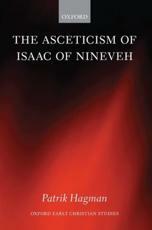 Several texts reference september 11th 2001, and the idea Hauerwas keeps returning to is that the world changed AD 33, not 2001. William Cavanaugh, Hauerwas’s former student, takes him to task in one of the interviews for lapsing into the nationalistic ”we” wen speaking after that event. There are also a few interviews with Hauerwas here, and the one by Michael Quirk (who is not a Christian but politically sympathetic to Hauerwas’s position is really good, he gets Hauerwas to talk about a lot of things he usually seem to avoid, both regarding Christian groups and political theory. This book, then is a bit hard to place, and it is difficult to say who would find it useful, apart from someone who really liked Hauerwas’s prayers and is looking for more of those. Though, as I have written elsewhere here, I think it would be a good idea for someone to have a closer look at Hauerwas’s sermons and the theology that is displayed there.